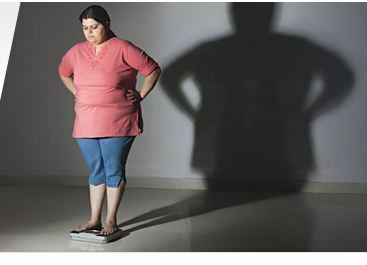 Currently, over 20% of all Indians under 50 are either obese or overweight with obesity affecting up to 70% of the populations in our biggest cities. This trend indicates that lifestyle factors are likely to be the main reason for the increase in obesity in India. A Body Mass Index (BMI) between 25 and 30 indicate that the individual is overweight while a BMI over 30 is considered obese. Madhavbaug’s obesity management program helps reduce body weight which in turn lowers the risk of heart disease, diabetes, cholesterol, and high blood pressure. These programs are based on individualized diet and exercise plans along with Ayurvedic treatments and yoga. A healthy weight loss plan that provides a 10% reduction in body weight can translate to a 5 mmHg decrease in blood pressure, a 5 mg/dL increase in HDL (good) cholesterol, and a 40 mg/dL decrease in triglycerides. Ayurvedic and yoga therapies have a synergistic effect and increase the benefits of these holistic weight loss treatment programs. About Management Program Madhavbaug’s ApexBeat program combine cutting-edge diagnostics, researched diets, skilled physiotherapy and tested lifestyle modifications with scientific Ayurveda to control body weight in obese individuals. The main aim in obesity management is to reduce and control the body weight to a level such that heart disease are delayed or prevented. The treatment uses thermal vasodilatation, Lipoactive medication application, per rectal drug administration, oral therapy and researched diet in order to act on subcutaneous fat deposition and also remove excess water and salt from body. WHAT OUR TREATMENT ENTAILS 1. REDUCING BMI & MANAGEMENT OF BODY WEIGHT 2. FREEDOM FROM SYNTHETIC MEDICINES 3. FREEDOM FROM SYMPTOMS SUCH AS TIREDNESS 4. PREVENTING FURTHER COMPLICATIONS LIKE HEART DISEASE, DIABETES & BREATHING DISORDERS Madhavbaug’s 360° Approach to Manage Obesity MODERN DIAGNOSTICS Modern diagnostics ensure that critical parameters and vitals of each patient are accurately assessed for further prognosis DIET Customized diet plans as per individual’s body class, which fulfills energy requirement of patient according to disease status and help proper management of weight THERAPY ORAL Oral herbal medicines that cause no side effects are used to excrete extra salt and water from body which helps dilate blood vessel. ADVANCED AYURVEDA Ayurvedic procedures like Thermal Vasodilation, Lipoactive Medication Application and Per Rectal Drug Administration that form the core of the Obesity Management Program. CONTINUAL EXPERT CARE Our patient care and hand holding extends even after the completion of treatment where patient care executives and experts are at your disposal if required.